Work Anniversary Wishes Nail Art!! I was busy like hell and seriously needed a break. So I decided to design a nail art and kept thinking for a good theme. I suddenly realized that today is 5th May and is my best friend’s work anniversary. And so my today’s nail art is dedicated to my friend :-). He is working for a start-up company named ZEPO. Very cute design!Happy work anniversary to your friend 🙂 I loved all the elements of your nail art! 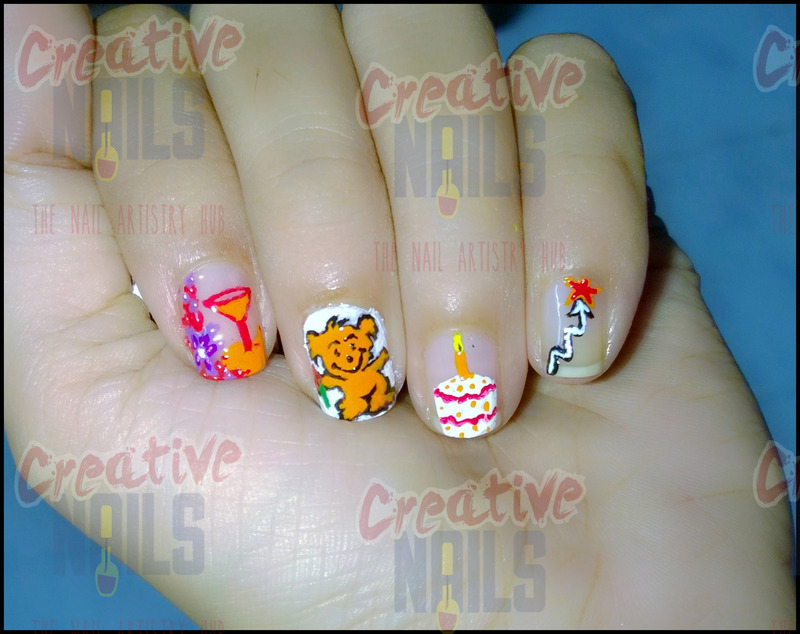 You do such cute creative manis! Love it..